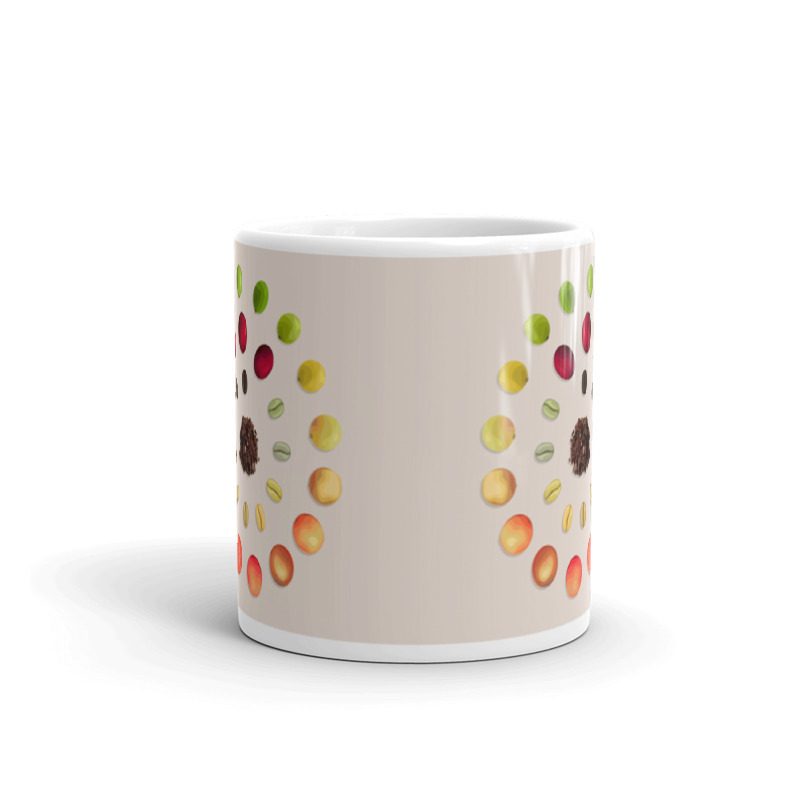 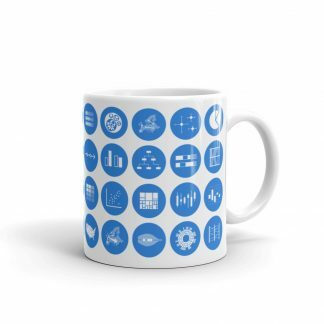 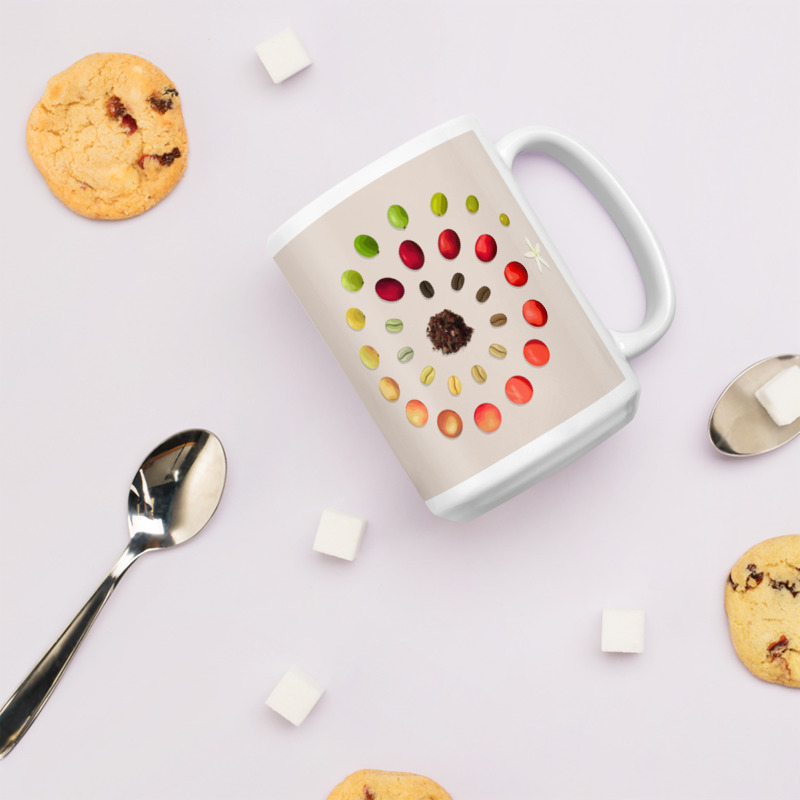 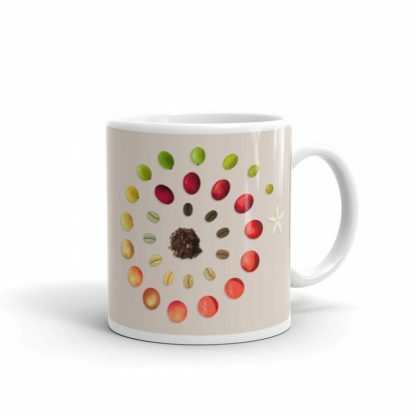 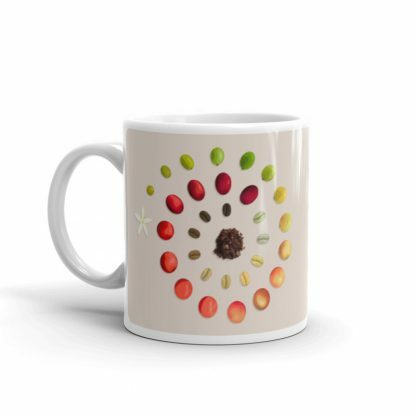 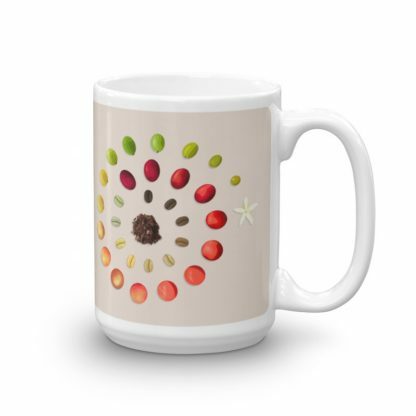 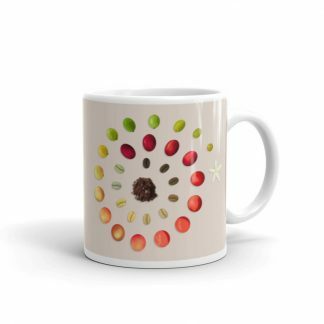 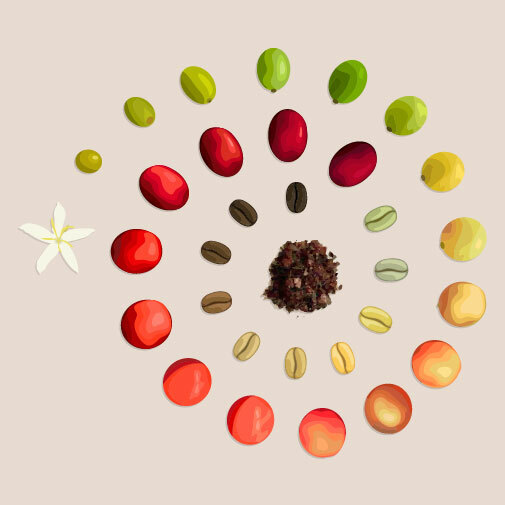 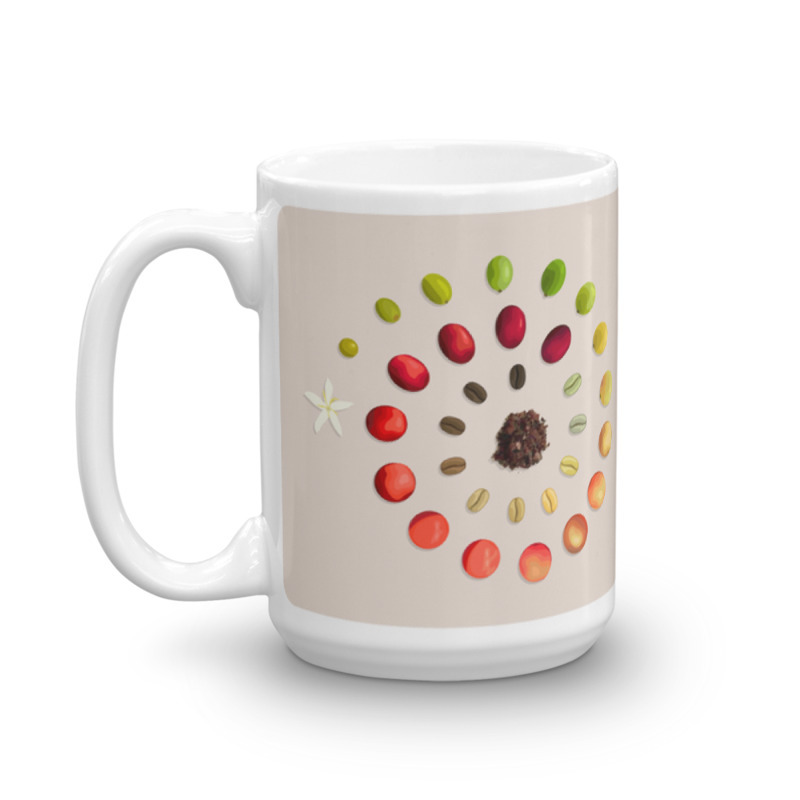 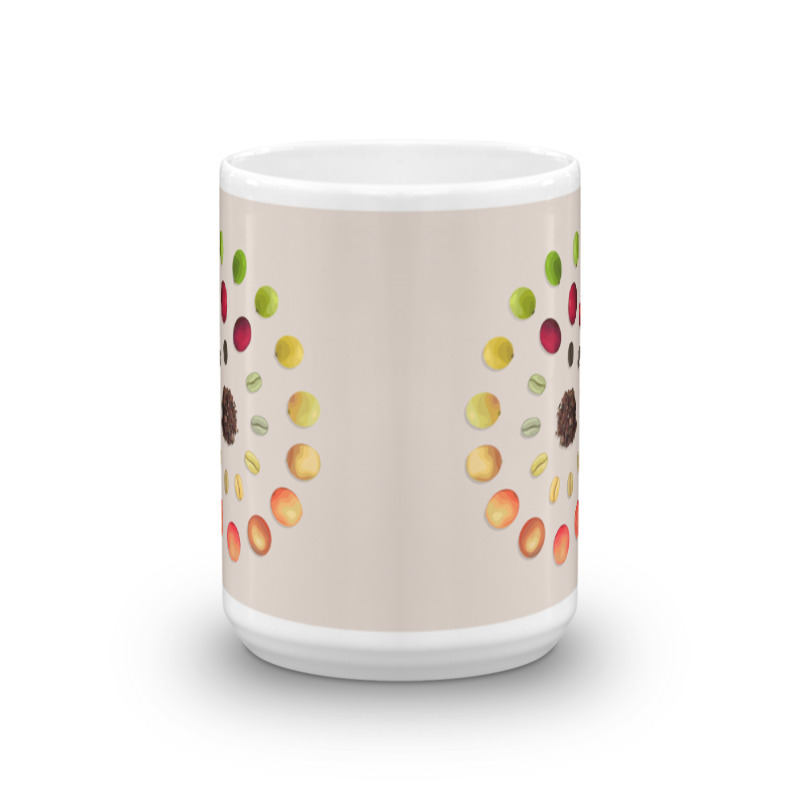 This mug displays the life of a coffee bean from flower to ground coffee. 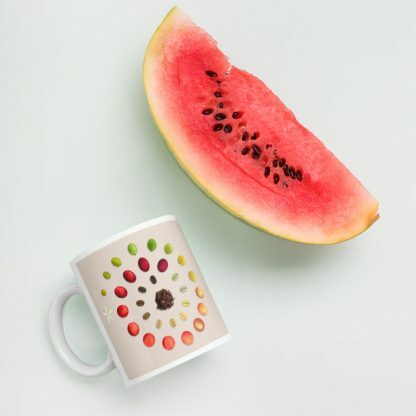 Stocked in the USA and Europe. Ships Worldwide.